Hot and ripe! 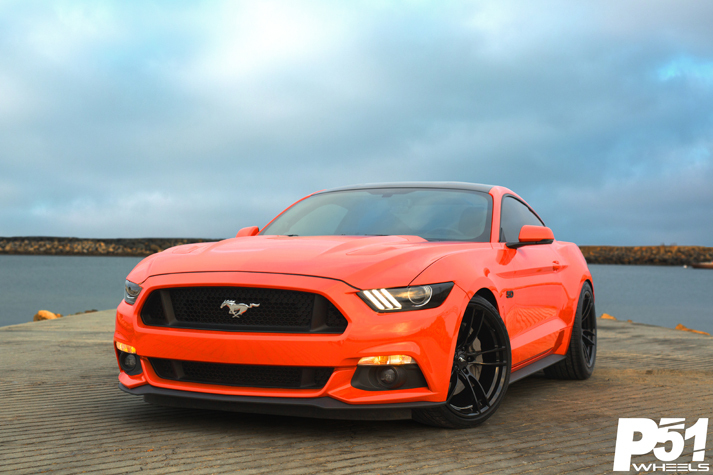 Miguel Osuna’s 2016 Ford Mustang GT in the Competition Orange is definitely an eye catcher. 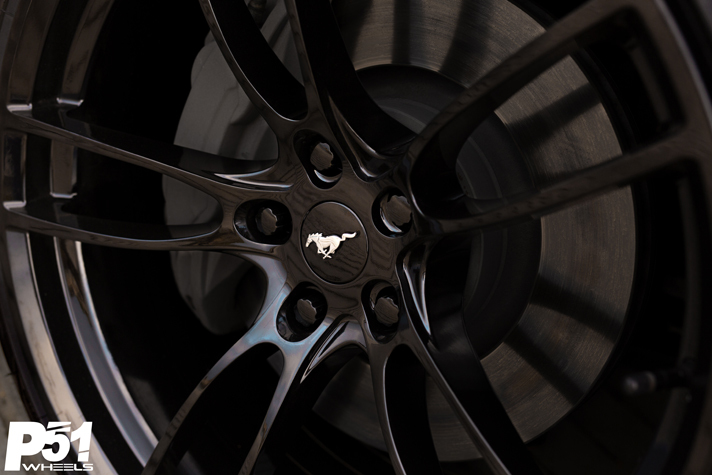 Here we have another member joining us today into unfamiliar territory to the Mustang lineage! 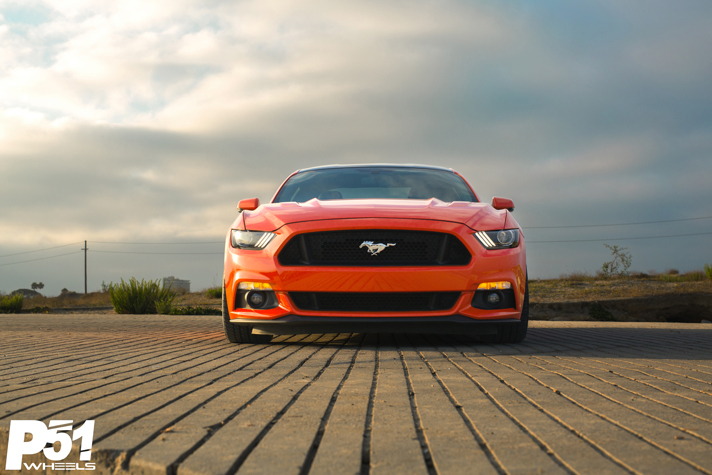 Coming from the S197 Ford Mustang GT platform, Miguel is definitely happy to be in his dream car, the S550 Ford Mustang GT known as, Habanero. 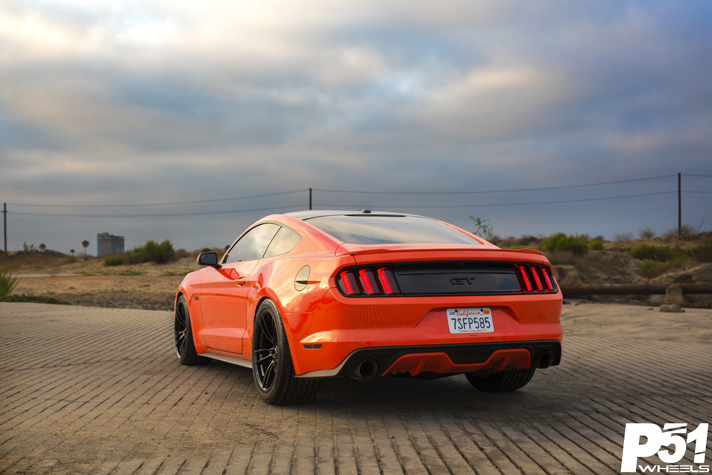 To start off his journey with Habanero, Miguel picks up the MBRP exhaust system in the Race version to really free up some horsepower and give Habanero a much hotter growl than before. 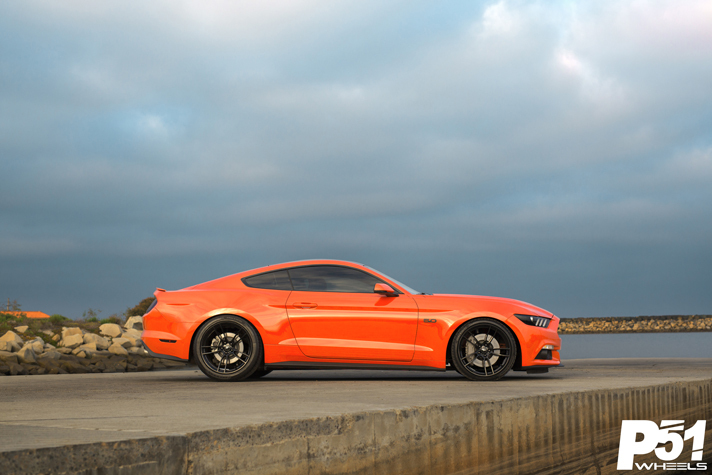 In addition, the newly added GT350 intake manifold gives the Coyote engine the extra breathing capabilities it deserves. 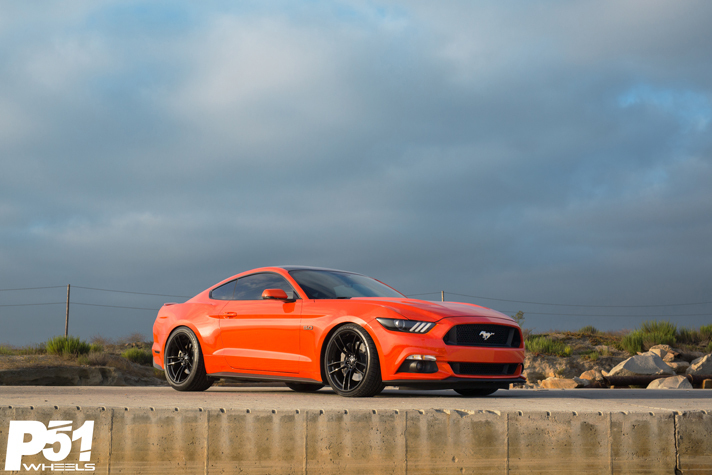 Lowering your S550 Ford Mustang is definitely in the top of list of modifications to do for any owner. 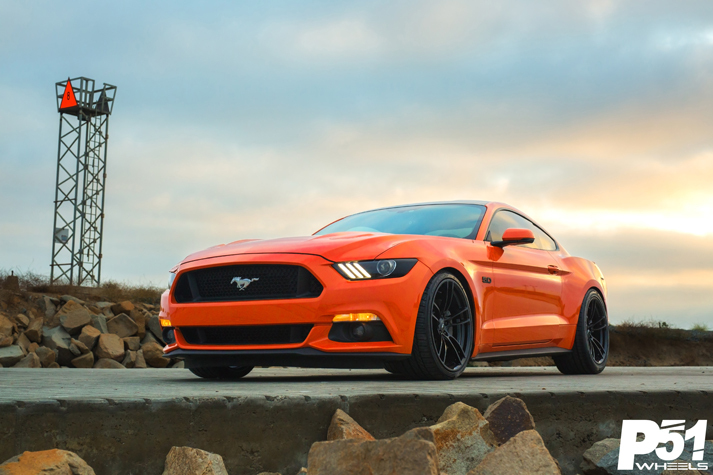 Miguel chose to go with CJ Pony Parts lowering springs lowering the cars center of gravity by 2″ in the front and 1.5″ in the back for better handling this big body needs. 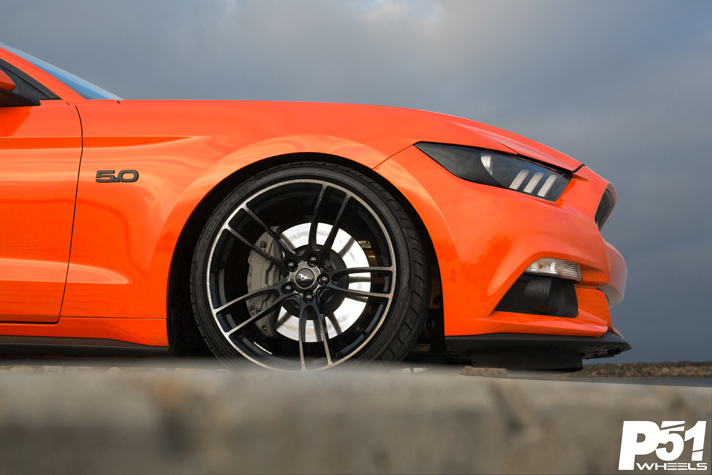 Having only ran his stock performance package wheels, Miguel definitely saw an opportunity with our P51 101RF wheels to really help with his list of future modifications! 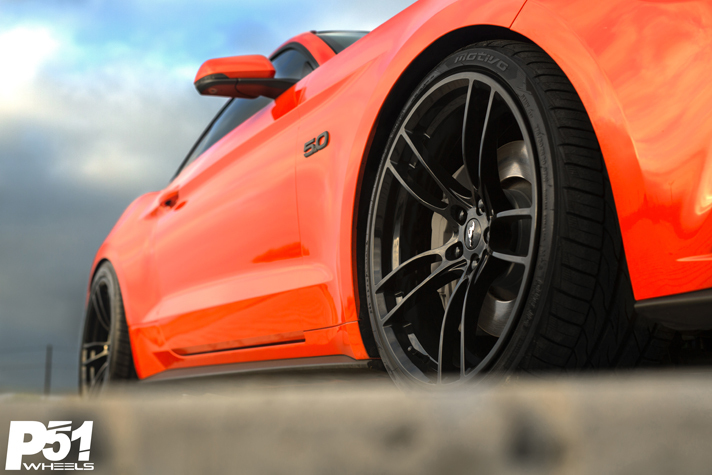 Losing a total average of 30 lbs with the new 20″ wheels, Habanero will definitely have an improvement in acceleration and a great reduction in stopping distance. 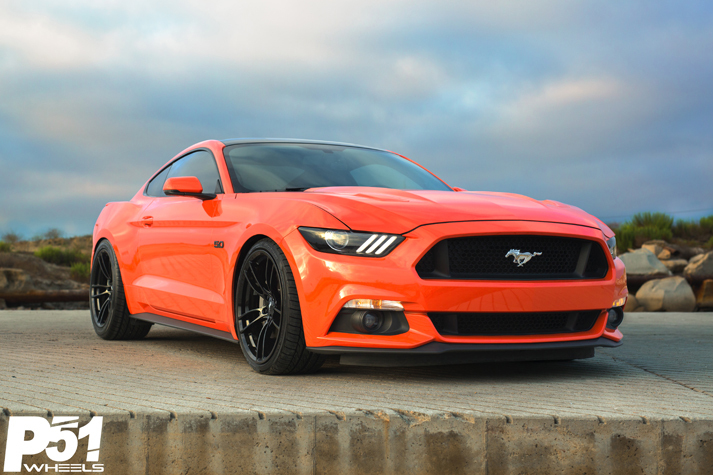 Miguel also wanted to keep a nice OEM look to his new wheel setup and with our P51 101RF wheels accepting the factory center, it definitely helped Miguel achieve this setup while having the ability to run much wider tires than before.